I am delighted to welcome you to my website and I appreciate your interest in my services. The privacy of your data is very important to me. 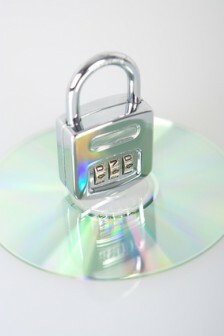 At this point, I would like to provide you with information on data protection at www.jutta-zollt.com. Naturally, I comply with the legal provisions of the General Data Protection Regulation (“GDPR”). However, this data protection declaration applies exclusively to www.jutta-zollt.com and not to websites of other providers to which this website contains a link. The subject matter of data protection is personal data. Personal data consists of details of the personal or material circumstances of an identified or identifiable natural person. This includes, for example, information such as your name, postal address, email address or telephone number and also, if applicable, usage data such as your IP address. I would like to point out that data transmitted via the internet (e.g. via email communications) may be subject to security breaches. Complete protection of data against unauthorised access by third parties is not possible. When you visit my website, log files are stored by the service provider in charge of the web server (“Provider”) in order to log access via IP (access log files). This data, which serves exclusively to ward off possible attacks by hackers to the system, is removed automatically after 7 days. This website uses Google Analytics, a web analytics service. It is operated by Google Inc., 1600 Amphitheatre Parkway, Mountain View, CA 94043, USA. Google Analytics uses “cookies”. These are text files which are stored on your computer and enable an analysis of how you use my website. As a rule, the cookie-generated data regarding your use of this website will be forwarded to a Google server in the USA and be stored there. However, if IP anonymisation is activated on this website, your IP address will first be shortened by Google within the member states of the European Union or in any other state that is a contracting party to the Agreement on the European Economic Area. Only in exceptional cases is the full IP address sent to a Google server in the US and shortened there. On behalf of the operator of this website, Google will use this information to evaluate your use of the website, to compile reports on website activity, and to provide other services regarding website activity and internet usage to the website operator. The IP address transmitted by your browser as part of Google Analytics will not be merged with any other data held by Google. You can stop these cookies from being stored by selecting the appropriate settings in your browser. However, I wish to point out that doing so may mean you will not be able to enjoy the full functionality of this website. You can also prevent the data generated by the cookie on your use of this website (including your IP address) from being sent to and processed by Google by downloading and installing the browser plugin available at the following link: http://tools.google.com/dlpage/gaoptout?hl=en. This sets an opt-out cookie which prevents the future collection of your data when visiting this website. With regard to the discussion about the use of analysis tools using a complete IP address, I would like to point out that an “_anonymizeIp()” extention with reference to Google Analytics is included into this website. Therefore, IP addresses are truncated before being processed in order to exclude any reference to personal data. Within the framework of my internet presence, I only use session cookies that collect a random combination of figures and letters in the form of session IDs. Session cookies are automatically deleted from most browsers as soon as the browser is closed. You can prevent cookies from being stored by selecting “do not accept cookies” or by setting your browser so as to be asked each time whether you agree with the placement of cookies. You may, at any time, delete any cookie set in your browser. I hereby expressly prohibit the use of contact data published in the context of website legal notice requirements with regard to sending promotional and informational materials not expressly requested. The website operator expressly reserves the right to take specific legal action in the event that unsolicited advertising material, such as spam email, is received. The contents of this website have been compiled with the greatest care. However, I cannot assume any liability for the accuracy, completeness and topicality of the contents. As a service provider, I am obliged in accordance with Section 7(1) of the German Telemedia Act (TMG) to ensure that my own content on these pages complies with general legislation. Pursuant to Sections 8 to 10 of the TMG, I am not obliged, as a service provider, to monitor transmitted or stored external information or to look for indications of illegal activity. Obligations to remove or block the use of information in accordance with the general laws remain unaffected hereby. Any liability in this respect, however, can only be assumed from the moment I obtain knowledge of the specific breach of law. Should any corresponding violation of the law come to my knowledge, I will remove this content immediately. When using links to other websites, you are responsible for familiarising yourself with the data protection notices of the respective other service providers. Generally, it is not necessary for you to provide personal data to use my website. I only collect personal data, if you knowingly make it available to me – and only to the extent determined by yourself. This personal data is used, in particular, for the purpose of quote generation, consulting services and service fulfilment – and only if you have expressly provided your consent. Such approval is granted, for example, by sending me an enquiry. Users have the right to obtain information free of charge about which of their personal data I store. In addition, users have the right to have inaccurate data corrected and their personal data blocked and/or deleted, in as far as no legal retention obligations exist. I only store personal data as long as is necessary to fulfil your contract or a service that you have requested or to which you have given your consent, as far as no other legal obligations (retention requirements) apply. If individual parts or formulations of this text do not, no longer or not completely comply with the applicable legal situation, the remaining parts and formulations of the document remain unaffected in their content and validity. According to Section 4g of the Federal Data Protection Act (BDSG), the Data Protection Official, resp. the responsible authority, must make the information referred to in Section 4e BDSG available in an appropriate form to any person upon request. I would be pleased to meet this obligation when requested to do so.